INTRODUCTION Impetigo represents a superficial invasion of the skin by pathogenic streptococci, staphylococci, or sometimes a mixture of both. Infections tend to occur in areas of previously compromised or diseased skin, such as skin affected by dermatitis, especially eczema, or in a recently lasered resurfaced skin. Owing to the superficial location there is rarely any systemic reaction of consequence. However, in rare instances the bacterial infection may result in the formation of antigen-antibody complexes that can lead to a life-threatening nephritis. CLINICAL PRESENTATION Impetigo can begin in either a bullous or vesicular form, with both types eventuating in pustule formation and then in ulceration. Invasion of the superficial regions of the skin by pathogenic streptococci or staphylococci produces small erythe-matous macules followed by dissolution of the basal epithelial layers and the formation of superficial vesicles or bullae ranging from 2 to 20 mm in diameter and surrounded by a narrow halo of erythema. 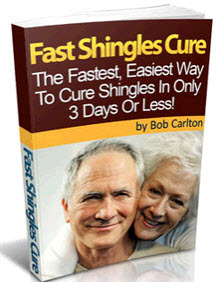 These soon become pustules that, upon rupturing, spread the infection to new areas. A tan crust made of dried blood and cellular debris forms over the lesion. Most lesions will heal without scarring; however, when deeper involvement occurs (ecthyma), it can result in cicatrix formation and lid deformity. Conjunctivitis or keratitis may occur which may lead to ankyloblepharon or corneal scarring. HISTOPATHOLOGY Common impetigo has subcorneal accumulation of neutrophils and gram-positive cocci, and a few acantholytic cells may be present. Neutrophils often extend through the epidermis into the underlying dermis. As the lesions age, there is a surface crust of serum, neutrophils undergoing degeneration, and parakeratosis (shown on right). In bullous impetigo, the sub-corneal bullae contain neutrophils, gram-positive cocci, and a few acantholytic cells, and the papillary dermis has a mild to moderate mixed acute and chronic inflammatory infiltrate. DIFFERENTIAL DIAGNOSIS Fungal infections as well as viral eruptions such as herpes zoster and varicella zoster may be mistaken for impetigo. TREATMENT The diagnosis, suspected from the clinical appearance, can be confirmed on culture, which will virtually always show a combination of streptococci and staphylococci. On rare occasions other organisms, including gram-negative varieties, will be recovered. 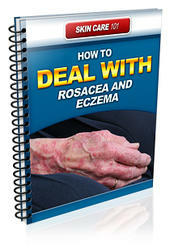 Mild cases can sometimes be managed with local skin hygiene alone. Antibiotic therapy is governed by culture and sensitivity results. Topical therapy is helpful but of limited value owing to pharyngeal colonization and wide dissemination of organisms. For deeper lesions, systemic antibiotics are indicated in the form of a semisynthetic penicillin or erythromycin. In severe cases dicloxacillin or a cephalosporin may be needed. Albert S, Baldwin R, Czeckajewski S, et al. 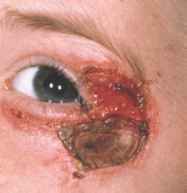 Bullous impetigo due to group II Staphylococcus aureus. An epidemic in a normal newborn nursery. Am J Dis Child 1970; 120:10-13. Dajani AS, Ferrieri P, Wannamaker L. Endemic superficial pyoderma in children. Arc Dermatol 1973; 108:517-522. Duke-Elder S. System of Ophthalmology. Vol. 13. St. Louis: Mosby, 1974:91. Esterly NB, Markowitz M. The treatment of pyoderma in children. JAMA 1970; 212:1667-1670. Elias PM, Levy SW. Bullous impetigo. Occurrence of localized scalded skin syndrome in an adult. Arch Dermatol 1976; 112:856-858. Ferrieri P, Dajani AS, Wannamaker LW, Chapman SS. 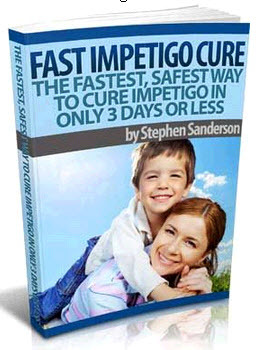 Natural history of impetigo. J Clin Invest 1972; 51:2851-2852. Hughes WT, Wan RT. Impetigo contagiosa: Etiology, complications and comparison on erythromycin and antibiotic ointment. Am J Dis Child 1967; 113:449-453. Lissauer TJ, Sanderson PJ, Valman HB. The re-emergence of bullous impetigo. Br Med J 1981; 283:1509-1510. Rasmussen JE, Maibach HI. Impetigo and other pyodermas. In: Dermis D, ed. Clinical Dermatology. Vol. 3. Philadelphia: Harper & Row, Unit 16-4.